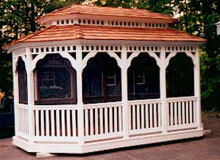 We have searched for the very best Amish master craftsmen and are confident that we have found them. 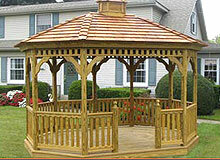 All of our structures are constructed according to your specifications from beginning to end (not mass produced) that insures the quality we are so proud of. 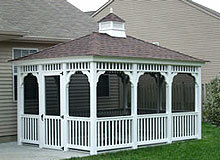 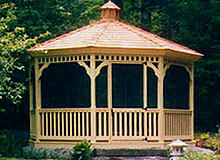 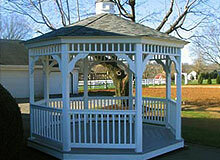 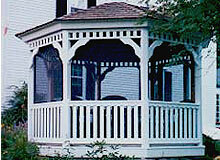 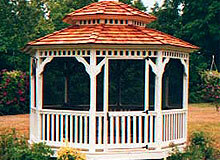 Our gazebos are heirloom quality born from the preservation of traditional respect for raw wood and aesthetic design. 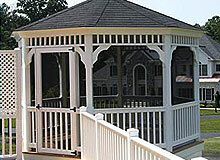 Your choice of style enhanced with the many options available will elegantly compliment your property and offer a personal haven for many years to come.